Today’s biggest environmental challenges—including climate change, the loss of biodiversity, water quality, and sustainably feeding a growing human population—are vexing issues without easy fixes. Solutions require a systems-thinking approach and sophisticated tools that allow collection and analysis of vast amounts of data to derive new insights and make impactful changes. Artificial intelligence (AI) already is helping humans be better stewards of the environment, adapt to change, and solve these complex problems. Organizations worldwide are capturing data using sensors, drones, and broadband connectivity, then applying machine learning and analytics to convert data into actionable intelligence to better manage natural resources. According to the University of Southern California (USC)’s Center for Artificial Intelligence in Society (CAIS), poaching has increased in the past decade; if it continues at its current level, poaching of elephants and rhinoceroses will lead to their extinction in 10 years. The death of the last male northern white rhino underscores the persistent threat to Earth’s biodiversity. Partnering with Microsoft, USC CAIS’s AI for Conservation program is applying AI to wildlife protection using unmanned aerial vehicles equipped with thermal infrared cameras and Microsoft Azure Machine Learning. The strategy will help research teams detect animals and identify poachers over a wide area, empowering rangers to intercept poachers in the moment. The team also is using game theory and predictive analytics to track and learn movement of animals and poachers, then predict where poachers are likely to strike. The partnership is exploring how AI and game theory can drive environmental preservation through protecting forestlands from illegal extraction of natural resources and oceans from unregulated fishing. The Chesapeake Conservancy, a pioneer in the field of precision conservation, is using cloud technologies to monitor, protect, and restore the natural environment. This requires detailed and highly accurate land cover maps to identify how land is used and identify environmental issues, such as pollutants entering the bay through agricultural runoff. The Conservancy is using advanced technologies to accelerate the mapping process and develop an up-to-date map of the watershed. Now, Microsoft, Esri, and the Conservancy are using AI and deep learning to build on this work to bring this work to scale across the United States. And in Tasmania, due to fears of pollutants from nearby industries entering the bay through stormwater runoff, oyster farmers were subject to government-mandated shutdowns after each major rainfall. Australian agtech company The Yield used AI and the Internet of Things (IoT) to create an “Internet of Oysters.” Real-time sensors in the oyster estuaries continuously monitor water quality around the oysters. Data goes to Microsoft’s Azure cloud platform where machine learning and advanced analytics deliver data-based predictions to both oyster growers and regulators via real-time dashboards. The solution already has reduced rain-related harvest closures rain by 30 percent, returning four weeks of harvest time to oyster growers every year. Farms will need to double their yield by 2050 to feed Earth’s growing population. Today’s farming methods rely largely on routine, broad application of water, fertilizer, and pesticides—processes that rarely account for changing climate conditions. Inspired by its success in the oyster estuaries, The Yield also has been working with farmers to deploy sensors throughout their fields for instantaneous status updates on their crops. Powered by the Azure IoT Suite, these sensors ingest this data and combine it with real-time weather data in the Microsoft cloud. The Yield then uses machine learning to deliver applications that help farmers know when to plant, irrigate, feed, protect, and harvest. 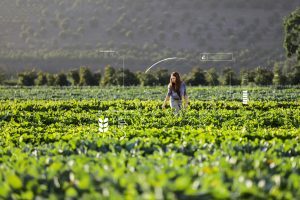 Applying technologies such as AI and IoT to farming methods is increasing food production’s environmental sustainability while saving money. One Tasmanian farm saved 30 percent of irrigation costs and water losses using The Yield’s smart irrigation technology. Building on the work of partners like the Conservancy and USC CAIS, and customers like The Yield, Microsoft’s new AI for Earth initiative is fueling ongoing research and development of innovative solutions to some of the world’s most pressing environmental challenges. Learn more about how AI enables us to accelerate our ability to observe and analyze how environmental systems are changing at a global scale. 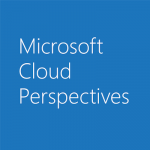 To stay up to date on the latest cloud solutions, industry insights and practical advice that inform your cloud initiatives, bookmark this blog.